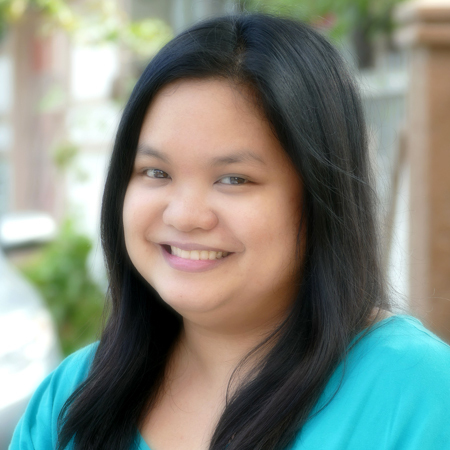 Gail is a Filipina author based in the Philippines. She runs a design studio with her husband in the outskirts of Manila, but also does freelance copywriting on the side. When not in front of her computer coding a website or writing a story, you’ll find her in the backyard, playing with four dogs, five ducks, two chickens, a turtle, and a cat. Gail writes upmarket MG, both historical and contemporary, and with elements of magic. Her fiction is represented by Alyssa Eisner Henkin of Trident Media Group. For the past three years, I’ve been critiquing for both agented and un-agented authors. Though I believe it’s primarily their hard work and perseverance that got them representation or partial/full requests, I’m glad to have been part of their journey. I also do sensitivity reads every now and then, focusing on the portrayal of Filipinos and the Philippine culture in fiction. I’m a proud protégé of middle grade maestro, Kate Messner (The Seventh Wish; Over and Under the Pond; Ranger in Time series), whom I met through the Writing in the Margins mentorship program in early 2016. I’ve also worked with kidlit authors, Erin Entrada Kelly (Blackbird Fly; The Land of Forgotten Girls; Hello, Universe) and Anica Mrose Rissi (Anna, Banana series; The Teacher’s Pet). I learned so much about the craft of writing and the publishing process from them. As a copywriter, I’ve mastered the art of selling through words, and successfully applied it when I was querying. In our business, my main task entails signing off our studio’s output—words, graphics, designs, codes, and the like—so I dish out critiques on a regular basis, and have dealt with the most sensitive of artistic types. I love all things MG—well, almost everything. I tend to shy away from horror, and high fantasy needs to have a really cool premise to hook me. But generally, I’ll take in a manuscript with a strong voice that I can connect to, and make me feel like a kid again. Own Voices preferred, but not required. Bonus points for unique settings and family stories. Extra bonus points if you can weave in social issues and cultural constructs seamlessly, and without being preachy. Magic realism, contemporary, literary, adventure, SF/F minus high fantasy, steampunk, historical, and historical fantasy—basically, any genre in MG except for horror and high fantasy. My editorial letters are very detailed and organized. I include resource links if I need to, and book recommendations if applicable. I’ll explain to you why I think something doesn’t work, and let you decide to take the suggestion or not (of course, I’ll do everything to convince you if the issue in question is hurtful or offensive). I’ll brainstorm with you for solutions and new ideas. I live in the Philippines, but I’m just an email or Twitter DM away. If Skype calls are your jam, I’m up for that too. I’m in this for the long haul—I want to be there to see you reach your goal, no matter how many manuscripts, query letters, or pitches it will take. My favorite MG books are: Wonder, The Thing About Jellyfish, The Seventh Wish, The Land of Forgotten Girls, Rules for Stealing Stars, Percy Jackson and the Olympians series, A Wrinkle in Time, Gregor the Overlander series, Harry Potter series, The Fourteenth Goldfish, All the Answers, When You Reach Me, Serafina and the Black Cloak. I don’t read much YA, but I enjoyed the sister sub-plot of The Hunger Games, and the amazingness of Angie Thomas’ The Hate U Give. I adore animals—dogs and ducks, in particular. My fave pekin duck, Quackie, has her own Tumblr blog. Own Voices, Own Voices, Own Voices!